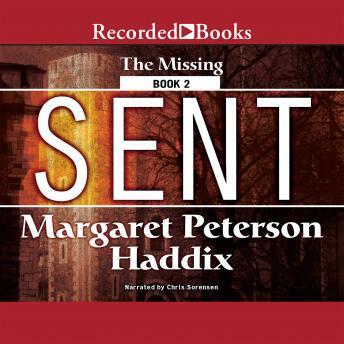 Critically acclaimed author Margaret Peterson Haddix continues her best-selling Missing series with Sent. Just as best friends Chip and Jonah discover they' re actually children kidnapped from history, they get sent back to their proper time period. Now in the 15th century, Jonah realizes he' s Edward V, the king of England, and Chip is his younger brother Richard, the Duke of York. Both boys know they need to find a way home fast, because they know their history-- Edward and Richard were murdered.